What is a sales video? Even though we talk about sales video as a category, there’s no hard and fast rule. Every company and every sales process is a little bit different. A good sales video isn’t pulled off the rack, it’s custom tailored to fit the message and the organization. A good sales video doesn’t have one shape or size. If the video enhances your sales pipeline, then you’re looking at a sales video. The Company: Z-Boost sells signal boosters for wireless technology through various online retailers. They needed to attract attention to their products on online retail platforms. They needed to appeal to a very broad user base that didn’t fall neatly into one demographic. Once they get shoppers to the product page, they needed a way to convert browsers to buyers. To make that conversion, they needed to overcome significant market confusion. There are a lot of signal boosters available. That makes it difficult for even a tech savvy customer to commit to a purchase. Their customers were getting overwhelmed at point of sale. Decision paralysis was costing them money. To maintain the attention of multi-tasking online shoppers, build videos to work without visuals. Putting a video on every product page helped them generate page views. But a good solution needed to take it a step further. Instead of trying to target a traditional demographic, our solution focused on a situational psychographic: online shoppers in the act of shopping. First, we built the videos to work without visuals. Multitasking shoppers can switch tabs without losing the core message. Second, we filled each video with helpful tips to help match shoppers to the right product for their needs. Finally, we don’t waste any time on fluff. A shopper who clicks on an e-commerce video is looking for information, not entertainment. Of course, that doesn’t mean e-commerce videos should be boring – just direct. In order to deal with decision paralysis, we built the videos as a connected series – a product parade at the beginning of each video. A) If this product doesn’t seem like a fit, there are others to choose from. And B) Every product will have a video to help guide them. We also end each video with recommendations for the indecisive shopper. Now, if the viewer checks out the wrong product first, they have some idea where to look next. By guiding them through the sales process, we can match them to the right product. They feel less overwhelmed, and they are less likely to give up. 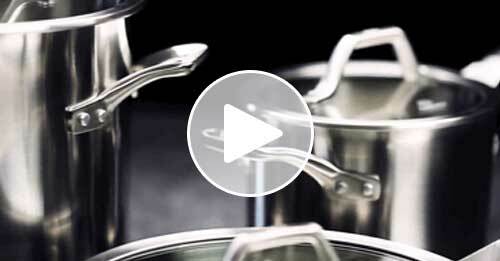 The Company: Calphalon produces high quality cookware. Their mission is to provide products that help inspire the home cook to express their culinary passion. Calphalon’s sales challenge was heightening their in-store presence at high end retailers like Neiman Marcus. Their content needed to be built for in-store displays. All video content needed to function with or without sound, since retail environments can be chaotic and noisy. The product needed to look high-end to appeal to the average Neiman Marcus customer. We paid close attention to the display environment. Other in-store videos for the same brand focus on cooking and lifestyle. Since we knew the specific retail environment for this video, we were able to hone our strategy even more. For this audience, we chose to emphasize luxury and style rather than focus on day to day use. We pulled inspiration from high-end auto commercials, heavily featuring the design, details, and contours of Calphalon’s beautifully engineered cookware. In busy point-of-sale situations, make sure that no matter when the audience starts watching, the video content does its job. Since we had no control over when the audience would start watching the video, chose to keep the style abstract rather than try to tell a story. We also made sure the video works as a seamless loop. No matter when the audience starts watching, the content does its job. By using a simple music bed instead of voice over, we can draw attention in a quiet store without losing content during peak hours. The Company: And That! Is part of the Bed Bath and Beyond family of retailers that focuses on seasonal décor and small batch product lines. And That! Installed major displays in their flagship Kennesaw location, but they needed flexibile content from their sales video solution. 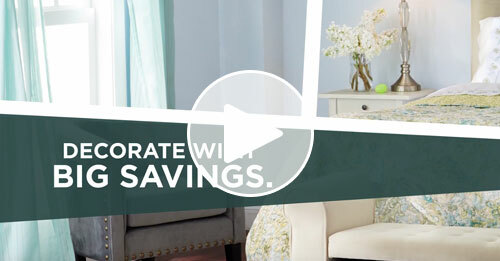 Because their inventory is always rotating, they needed their sales video to be easy to update. They wanted to encourage customers to check for deals and visit the store frequently. A great customer experience was the name of the game. They wanted to customize their content from store to store in order to give a local, community feel to their locations. We built a digital signage package for And That! With an eye on flexibility. Segmented, modular content was the name of the game. 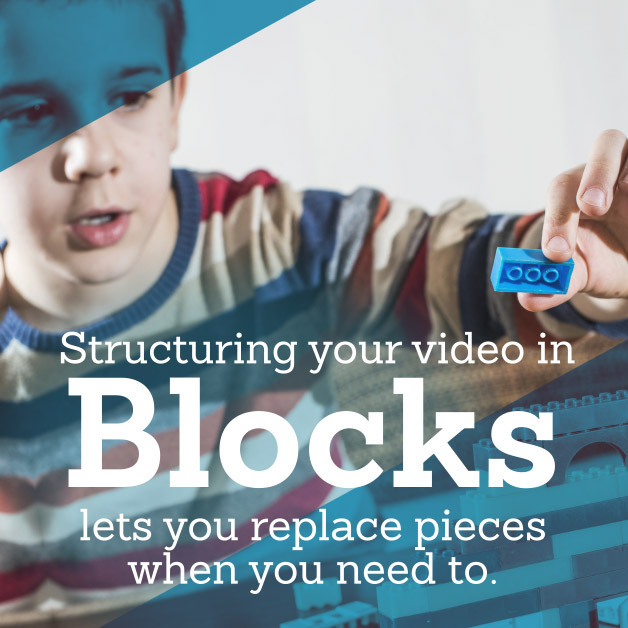 Like lego blocks, we built this video in small, connecting, reconfigurable pieces. The short blocks of content mean that viewers can start watching at any time and never feel lost or confused. Different sections can be moved or replaced to make room for seasonal content, local content, or for a simple refresh. The video is positioned to be watched as customers line up for check out. Viewers have something to entertain them while they wait in line. They still have time to make last minute impulse purchases, or chase down something that catches their eye in the video. The video is the last thing they see before leaving the store. That’s the perfect time to remind customers that deals are always changing, and that they should come back soon. The Company: Stratix manages mobile infrastructure for enterprise level companies. Every cellphone, tablet, and barcode scanner needs to be tracked, maintained and replaced, and Stratix helps big companies handle just that. With major accounts all over the world, and with mobility being the name of the game, Stratix had a huge sales team. Most of them worked remotely. With such a diverse sales force out of pocket, the core sales message was losing focus. 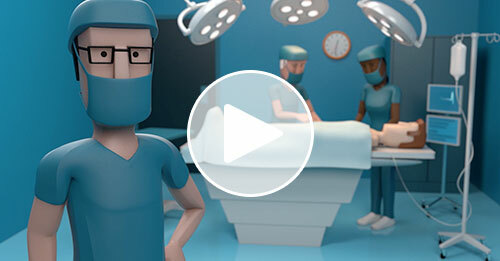 We built a series of product videos & explainer sales videos to align sales and marketing. 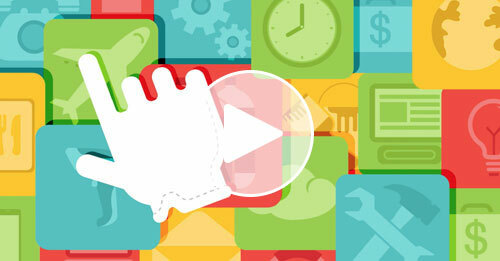 These videos were built into a mobile sales platform on tablets and other mobile devices. The sales team got new tools to help them open meetings and explain the product. Marketing got a cohesive brand message out to a diverse audience. The Company: Care Logistics offers a hospital executives a methodology to handle the complex maze of logistics in healthcare. Client hospitals saw phenomenal results, but the Care Logistics solution is multi-layered, tricky to explain, and requires a major investment to implement. Between explaining the benefits and justifying the implementation, the sales cycle was taking a year or more to complete. In order to shorten the sales cycle, we needed to help hospital execs understand their urgent need for the Care Logistics solution. We took a multi pronged approach to reach hospital CEOs at different stages of the sales process. A short 3 minute animated explainer video laid out the problems in traditional systems, and the benefits of better logistics. Break the sales cycle down and present the right level of detail to prospects at the right time. Once there was interest, testimonial videos from client hospitals around the country showed the financial, and patient care benefits of the Care Logistics model. For hot leads, we produced a longer breakdown that showed hospital execs the details of how Care Logistics actually works. Going department by department through the hospital, we were able to show the functionality and efficiencies that make the Care Logistics model powerful. By breaking the sales cycle down, we were able to present hospital execs with the level of detail they needed at the time they needed it. Care Logistics saw their sales cycle drop from over a year, to just around 6 months. The Company: Yes dear friends – we’re marketing to you too. 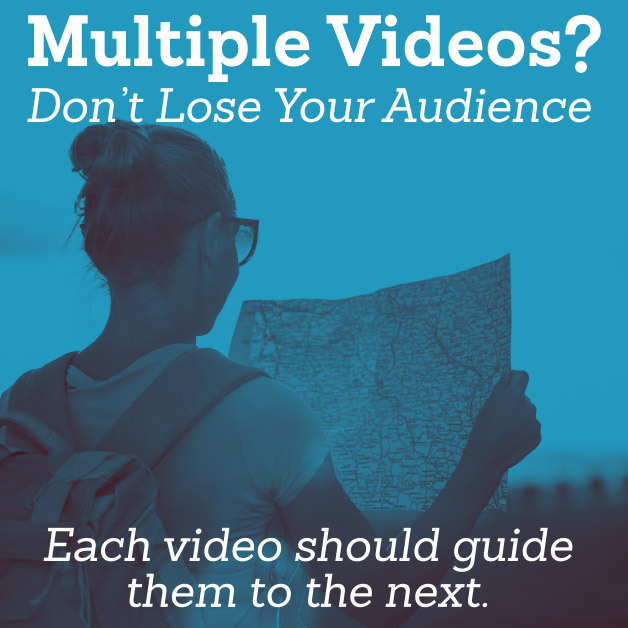 Video is a great tool for marketers, but for a lot of businesses it’s just not on the radar. The marketing department might see the value, but they can face resistance from the people making the purchasing decision when it’s time to make room in the budget for video. We wanted to empower our marketing allies within organizations so that they could pitch video content internally. We built “The Power of Storytelling” as a tool to show the marketing potential of video. We decided to give marketers a “look in the mirror” so to speak. We stepped back and let our clients – fellow marketers – talk about their results from video. We also littered the video with pitch tools in the form of statistics and testimonials. As you can see, there’s really no one-size fits all approach to sales videos. When you think about content for your company, ask yourself what your sales challenges are. 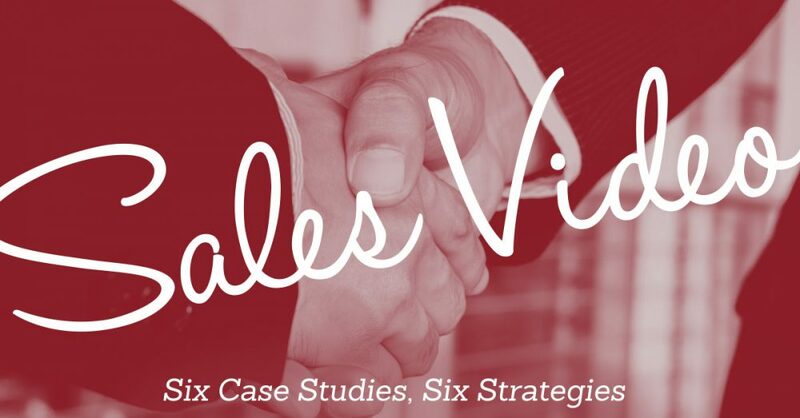 Can your sales cycle be shortened? Are you missing a valuable segment of your audience? Whatever your problems, you want your sales video to be a customized solution. Of course, we’d be happy to help you figure out what that solution is.